Everyone loves a bump in pay, extra time off, or other form of reward or recognition. The problem is when managers start to rely on these types of extrinsic motivators too much and stop looking for the deeper intrinsic motivators that lead to long-term satisfaction and well-being at work. Alfie Kohn first wrote about this in his book, Punished by Rewards: The Trouble with Gold Stars, Incentive Plans, A’s, Praise, and Other Bribes. Daniel Pink picked up the banner most recently in his 2009 book, Drive: The Surprising Truth About What Motivates Us. In both cases, the author’s point to social science research conducted over the past 50 years which shows that money and other extrinsic rewards can actually reduce motivation and ultimately performance if not used properly. 1. 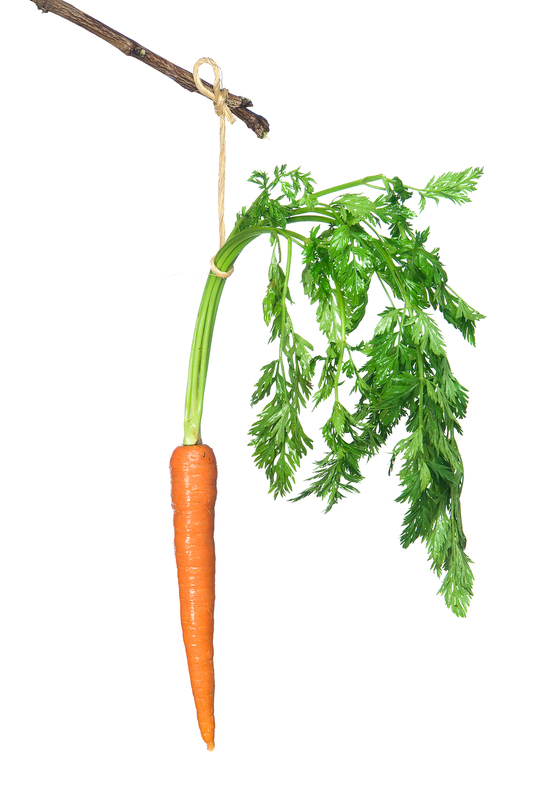 Instead of trying to understand what really motivates your direct reports, you increasingly rely on a carrot approach where you dangle incentives in front of employees to get them to engage in desired behaviors. 3. Instead of helping people connect their work to a higher purpose, you instead insist that they stay focused on their own task and leave the big picture thinking to senior management. With this type of thinking, it’s easy to fall into a transactional mindset as a manager. Now work becomes mostly about getting the next raise, bonus, or other prize. Don’t let incentives and compensation become the de facto manager in your organization. Go beyond “if-then” thinking to discover what truly motivates your people. It’s time well-spent that will pay long-term benefits! PS: Interested in learning more about creating a motivating work environment? Check out these upcoming executive briefing presentations! September 15, 2011 in Compensation, Employee Engagement, Employee Productivity, Employee Work Passion, Incentives, Performance Management, Recognition, Talent Management. Great blog David. I try to take this to heart in managing diverse resources. All managers who want to be leaders must move away from thinking of employees like Pavlov’s rats!